Just because you’ve closed escrow and have given the keys to the house to their new owner doesn’t mean you’re done just yet. While the hard part is over, there are still a few tasks you should complete before calling it a done deal. It should go without saying, but once you’ve moved your possessions out of your home, you should thoroughly clean it. 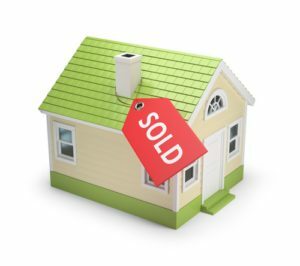 Though it isn’t necessarily required, it is a nice courtesy to extend to the buyer of your home. Nobody likes moving into a dirty house, or wants to waste time getting settled in by having to give the entire home a thorough cleaning. Selling a home can produce a mountain of paperwork, and it may be tempting to toss all of it once the sale is complete. But don’t go shredding those documents too soon. You will want to keep a copy of all your records for the upcoming tax season, to show your expenses and any proceeds from the sale. You should also hang onto them in case you should ever get audited for that tax year. Not only should you keep all sales documents, but you should also keep records of any improvements you have made on your home. These are also needed for tax purposes. The IRS allows homeowners to improvements to your home’s cost during the time that you owned it. Another important task to complete when you’re selling your home is to contact the utility companies to have your service discontinued. You should arrange for the services to be disconnected on your closing date. Also arrange to have home delivery of your newspaper canceled, and the alarm service disconnected. Notify each company of your forwarding address so they know where to send the final bill. At this point, you should also complete a change of address form with the United States Postal Service. The form can be completed in person at a local branch or online. Although this blanket service will ensure that most of your mail gets forwarded to your new address, you should still notify credit card companies, banks and other places where you do business of your new information. In addition to disconnecting utility services, you also need to contact your insurance agent to cancel your homeowner’s insurance policy. You should do this even if you’ve arranged for a new homeowner’s policy with the same agent. They will not automatically terminate your old policy for you, so you should be sure to complete that task yourself. Finally, stay on top of tax laws when you’re preparing your taxes for the year in which you sold your home. Tax laws do change from year to year, and you want to be sure that you’re making the most of any deductions that could be coming your way from the sale of the house.